Our organization holds expertise in offering technical consultancy to enhance client’s knowledge and operating skills. With the wide industrial experience we are able to full fill the requirement of our customers. We are provide these service at most competitive rates. In the maritime industry there are many equipment suppliers and it is difficult to make the right choices in refitting and new buildings projects. Our experience in the maritime business as well as our independent position makes us an excellent partner to assist you in your decision making. We are available over the phone, email and skype for any kind of queries and questions. 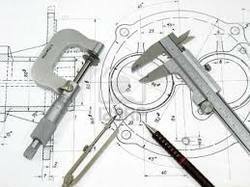 The field of engineering is a vast one and India has a large number of professionals employed in public as well as private sectors. Profiles vary from supervising positions to managerial ones in different streams like electronic, mechanical, civil, electrical, biotechnological, and so on. As we progress into the 21st century and with the arrival of the next generation of computer aided design tools, engineering products and the components therein will become more complex than ever before.